I guess the best we can hope for is that he suffers some kind of serious infection… We know for damn sure he received a lot better care than he would have had been forced to sign up for the Obamacare crap he fully supported but was allowed to side-step. This post was published at Investment Research Dynamics on January 3, 2015. America is the ‘land of the free, home of the brave’ in name only. The majority of us who have long ago realized that ignorance is not bliss have known this for quite a while now. In reality, we’re living in an increasingly sophisticated electronic concentration camp the likes of which would make George Orwell spin in his grave fast enough to cause spontaneous combustion. Some have suggested America is now ‘the most surveilled society in human history,’ and on what possible basis could anyone disagree? Surveillance devices are everywhere – from the cell phones in our hands, to the cameras positioned on our street corners, to the satellites floating around our planet in space. In some states, we’re expected to give all ten of our fingerprints for what we are told is the state-regulated ‘privilege’ of driving, and more and more states will be moving toward this model out of what officials will say is security necessity in the 21st century. Our police are using everything from drones and license plate readers to pre-crime algorithms to assign us a ‘threat score’ based on all of our data (including our purchases and social media posts) before an officer even lays eyes on someone. Utility companies are installing smart meters by the hundreds of millions across the nation, so that eventually every time we use even the smallest bit of energy inside the supposed ‘privacy’ of our own homes, someone somewhere will be analyzing our data in real time. This post was published at The Daily Sheeple on January 2nd, 2015. Scott Faber: ‘No one is seeking to ban GMO crops.’ W-h-a-t? Scott Faber (twitter) testifies before Congress. Wobbly drum roll, sour cymbal crash. Faber is the executive director of Just Label It (twitter), a group that wants mandatory labeling of foods containing GMOs. He’s also the VP of Governmental Affairs for the powerful Environmental Working Group (twitter). As the representative of all Americans who want labeling (really?? ), Faber recently testified before the House Energy and Commerce Subcommittee on Health, about the Pompeo Bill (‘The Safe and Accurate Food Labeling Act of 2014′ (HR4432)), which, if enacted into law, will put an end to mandatory GMO labeling everywhere in the US. This post was published at Jon Rappoport on Jan 2, 2015. The Reagan administration pulled right-wing media executives Rupert Murdoch and Richard Mellon Scaife into a CIA-organized ‘perception management’ operation which aimed Cold War-style propaganda at the American people in the 1980s, according to declassified U. S. government records. Charles Wick, director of the U. S. Information Agency, arranged at least two face-to-face meetings between Murdoch and Reagan, the first on Jan. 18, 1983, when the administration was lining up private financing for its propaganda campaign, according to records at the Reagan presidential library in Simi Valley, California. That meeting also included lawyer and political operative Roy Cohn and his law partner Thomas Bolan. The Oval Office meeting between Reagan and Murdoch came just five days after NSC Advisor William Clark noted in a Jan. 13, 1983 memo to Reagan the need for non-governmental money to advance the project. ‘We will develop a scenario for obtaining private funding,’ Clark wrote, as cited in an unpublished draft chapter of the congressional Iran-Contra investigation. This post was published at Lew Rockwell on January 2, 2015. For those who have always believed that it can’t happen here, think again, because it IS happening, and things are only going to get worse as data surveillance becomes a way of life. Gun confiscation at the hands of medical records sharing is now officially a reality, with serious consequences for the individuals involved. Now, under ObamaCare, the United States is on pace to swiftly become a snitch societythat would make East Germany and Soviet Russia blush. This post was published at shtfplan on January 2nd, 2015. Boehner on the Way Out? John Boehner, the current Republican Speaker of the House, just may be thrown out. He wages war against the Tea Party and threw off every financial committee anyone who supported Ron Paul. This guy is serious bad news for he is old-world country-club style Republican who should have been hosting a game show – Let’s Make a Deal. He stands for nothing and if you made him dictator, he would not change anything in Washington. Boehner is from Ohio’s 8th congressional district. If Ohio keeps sending the obstructionist to Washington, they should pay everyone’s tax bills. Currently more than 50% of the Republicans want him gone. He has to stand for election as Speaker and we could at least get some reform if he is kicked out in House elections. This post was published at Armstrong Economics on January 2, 2015. The CIA released an admission that it was responsible for the majority of the reports of Unidentified Flying Objects during America’s Cold War with Russia. ‘It was us,’ the agency posted on social media, along with a declassified document from the 1990s. This post was published at Police State USA on January 1, 2015. 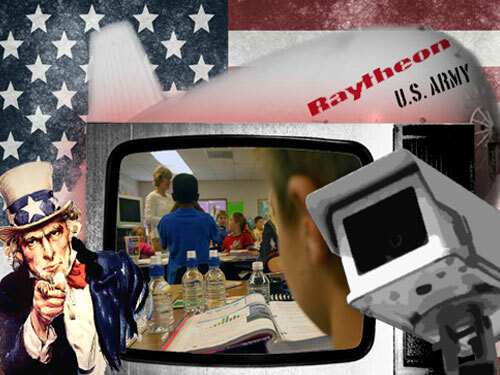 Is not just that secretive agencies including the CIA are institutional liars, or that our elected representatives and selected officials operate as professional liars, there is a concerted effort to use ‘psyops’ or psychological warfare against the people – to use emotion and distorted facts to control the opinions, and therefore the public attitude of of what is permissible among the general population. This has always been used by those in power, but technology and better understanding of mass psychology has made this very targeted. With a lifting of the ban on propaganda in 2013 it has also become officially legal in the age of the ‘cyber war’ and ‘information operations’ in which military and other personal consider public perception as part of their battlefield. As 1984 author George Orwell declared, ‘In a time of universal deceit – telling the truth is a revolutionary act.’ Lies are the foundation of the establishment, and the officials of that system operate based on lies. This post was published at Market-Ticker on January 2, 2015. Income Inequality Author Turns Down Prestigious Award; Can you Solve a Problem When You Don’t Know the Cause? French economist Thomas Piketty, author of the surprise best-selling Capital in the 21st Century turned down France’s top award, the Legion D’Honneur. “I do not think it is the government’s role to decide who is honourable”, said Piketty. Nobel Prize-winning economist Paul Krugman called it “the most important economics book of the year – and maybe of the decade”. Krugman likely says that because he believes in Piketty’s socialist solutions to income inequality. Piketty’s book is a massive 696-page slog. Fortunately, Harvard Business Review offers this synopsis: Piketty’s ‘Capital,’ in a Lot Less than 696 Pages. The argument. Capital (which by Piketty’s definition is pretty much the same thing as wealth) has tended over time to grow faster than the overall economy. Income from capital is invariably much less evenly distributed than labor income. Together these amount to a powerful force for increasing inequality. The method. Piketty does not offer his own theory of what drives economic growth, or what the optimal ratio of capital to labor income might be. In fact, a recurring theme of his book is that the theory-first approach of modern economics is a dead-end. The evidence. The richest source of data for the book is France, thanks to the country’s long tradition of excellent record-keeping and an estate tax that was enacted a couple of years after the 1789 Revolution. What the French numbers show is that the ratio of capital to income remained steady at about seven-to-one for centuries, plummeted around the start of World War I, and began recovering after World War II. This post was published at Global Economic Analysis on January 02, 2015. This post was published at Zero Hedge on 01/02/2015. No injuries have so far been reported after a 5.1 earthquake hit the Northern Californian coast 70 miles west of Ferndale. According to the United States Geological Survey website, the quake struck at 0416 this morning Pacific time. California sits in an area that is geologically very active. Plate margins grind against each other causing the tremors. The San Andreas Fault is a huge gash in the landscape that runs from Cape Mendocino down to the Mexican border. It’s a transform or slide fault. The leading edge of the North American Plate and the Pacific Plate slide past each other. They move in small fits and starts but on occasion get stuck. 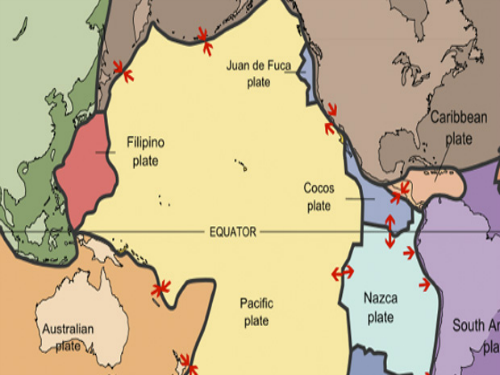 The pressure builds and builds, until whatever prominence of rock holding them in position gives way, and the plates move causing an earthquake. One of the most striking things about the Colder War – as I explore in my new book of the same name – has been the contrast between the peevish tone of the West’s leaders compared to the more grown-up and statesmanlike approach that Putin is taking in international affairs. As Putin said in his speech at the Valdai International Discussion Club in Sochi in October – whose theme was ‘The World Order: New Rules or a Game without Rules’ – he hasn’t given up on working with the West on shared risks and common goals, provided it’s based on mutual respect and an agreement not to interfere in one another’s domestic affairs. Putin has, of course, already shown that he can rise above the fray. By negotiating the destruction of Assad’s chemical weapons arsenal under international supervision, he did Obama a big favor and got him off the hook in Syria. But his collaboration with Obama went further than that. Putin had helped persuade Iran to consider making concessions on its nuclear program and was working behind the scenes on North Korean issues. 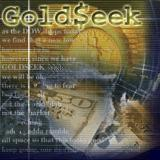 This post was published at GoldSeek on 2 January 2015. US foreign policy just jumped the shark: a few days after both the FBI and the US State department were humiliated when it was revealed that it wasn’t North Korea but a disgruntled, laid off Sony employee that was responsible for the “hack”, moments ago Obama – currently not working out next to a rainbow orflashing the “Shaka” sign – signed an order imposing even more sanctions against North Korea. The Pentagon’s fighter jet F-35 may not be fully operational until 2019 due to a newly discovered computer glitch. The $400 billion ultra-sophisticated jet, the most expensive in US history, was expected to enter service in 2015. F-35 is the fifth generation combat aircraft which is designed in three variations for US Air Force, Navy and Marines to replace out of date aircraft. It was planned to join the Marines in 2015 and Air Force in 2016. It is planned to replace the Air Force’s A-10 Warthog ground attack plane and Lockheed F-16 multirole fighter, the Navy instead of Boeing F/A-18 Hornet carrier-based fighter, and the Marines instead of Boeing AV-8B Harrier II jump-jet. However, the most awaited plane’s main weapon will not be able to fire due to a computer glitch. The four-barreled rotary cannon for the Air Force version of the F-35 cannot function until new software is elaborated, despite jet scheduled to join the army this year. This post was published at Investment WatchBlog on January 2nd, 2015. Nearly two-thirds of American children now live in households receiving aid from at least one federal agency, according to a recent report from the Census Bureau. This staggering figure is based on data compiled from interviews from the fall of 2011 that were conducted as part of the 2008 Survey of Income and Program Participation (SIPP). The federal programs being accessed by these households include Medicaid, the National School Lunch Program, the Temporary Assistance for Needy Families (TANF) program, the Supplemental Nutrition Assistance Program (SNAP) and the Special Supplemental Nutrition Program for Women, Infants, and Children (WIC). Of these programs, the one most commonly participated in was the National School Lunch Program, with an enrollment of 35 million children. In second place was Medicaid (26.4 million participants), followed by SNAP (17.3 million), WIC (6.4 million) and TANF (2.3 million). This post was published at Natural News on January 02, 2015. Occasionally readers inquire about the meaning of this blog’s title, Of Two Minds. There are several answers, but the primary one is: Of Two Minds is the synthesis of two minds–yours and mine. The advance of my own knowledge depends directly on readers’ commentaries, critiques and analyses, and the network of global correspondents that is Of Two Minds’ primary asset serves the expansion of all readers’ understanding of our troubled times. This post was published at Charles Hugh Smith on THURSDAY, JANUARY 01, 2015. Distorted Markets We have always liked Eclectica fund manager Hugh Hendry for his sound views and outspoken manner. Below is a somewhat dated video compilation showing several moments in which he stunned his opponents in television debates by voicing uncomfortable and politically incorrect truths. Included in the video is a defense of speculators, entrepreneurs and other risk takers in the marketplace against statist interventionists and ‘champagne socialists’, which we wholeheartedly agree with. Speculators have a bad name, mainly because they always serve as a convenient scapegoat for politicians (in fact, speculators and merchants have served as scapegoats whenever economic policy failures became apparent since at least the time of the Roman empire). However, they fulfill an extremely important function, as Mr. Hendry points out to his debate opponents. This post was published at Acting-Man on January 2, 2015.